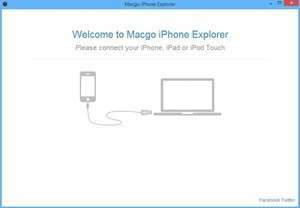 Macgo iPhone Explorer can offer you easy access to personal files of any iOS devices, which is certainly not supported by any other third-party App except for iTunes. Fully compatible with the newest iOS devices like iPhone 6 / 6 Plus, iPad Air 2, iPad mini 3, iPhone Explorer can help you browse App files, System files and other types of file. Macgo iPhone Explorer can offer you easy access to personal files of any iOS devices, which is certainly not supported by any other third-party App except for iTunes. Version 1.4.0.1886 is a freeware program which does not have restrictions and it's free so it doesn't cost anything. For security reasons, you should also check out the Macgo iPhone Explorer download at LO4D.com which includes virus and malware tests. Additional screenshots of this application download may be available, too.